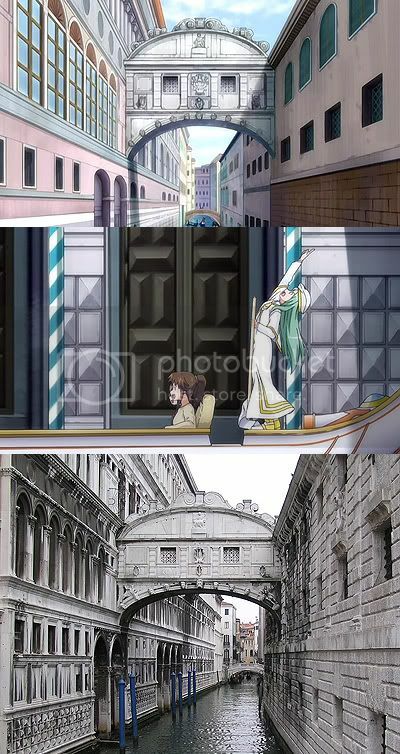 Here's another collection of randomness I had piled up while I watched ARIA. 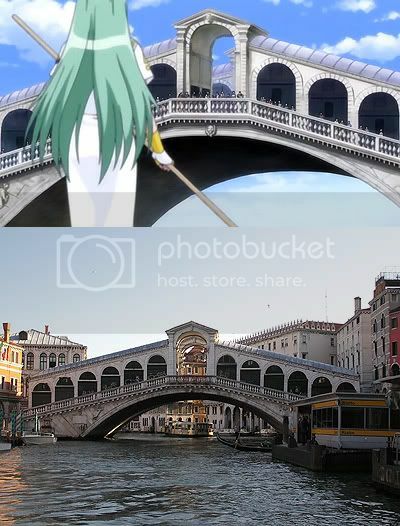 ARIA makes the Rialto bridge so much bigger than it is. 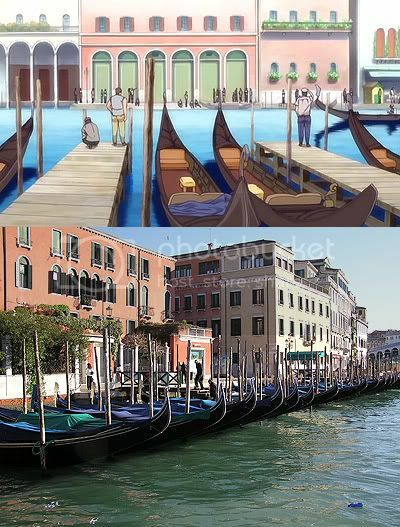 Gondola parking - but at least there's no parking meters! 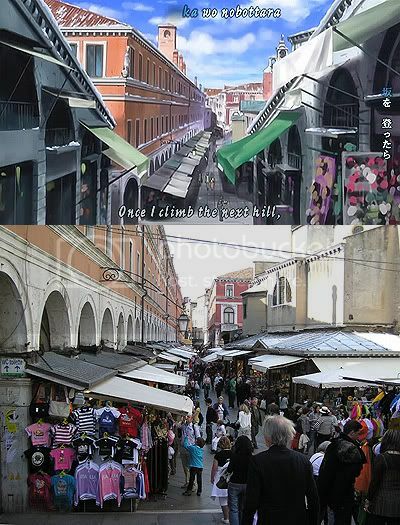 The market on the west end of the Rialto Bridge. 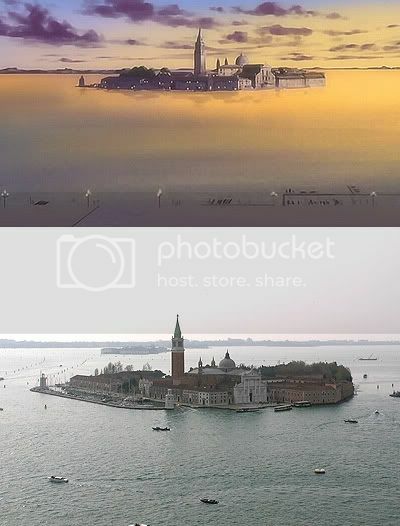 And a picture I found on a friend's social networking profile which closely matched Amano art, complete with the Vaporetto in the same spot. The Bridge of Sighs by day. Included the ever-so-cute dekkai for the sake of it. 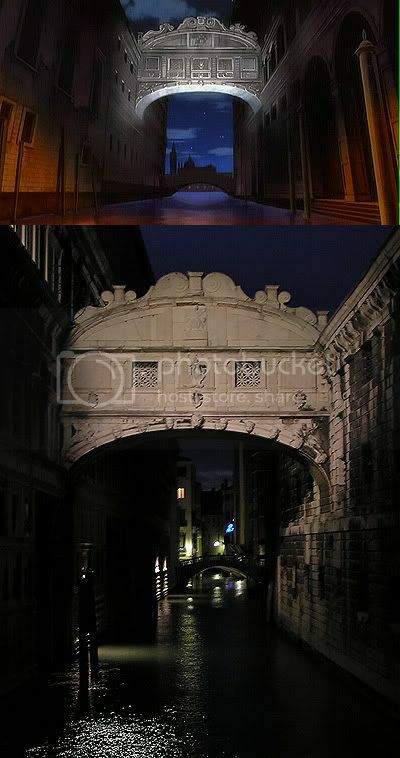 The Bridge of Sighs by night. To end it off a view of the lagoon, which reminded me of a photo I took. 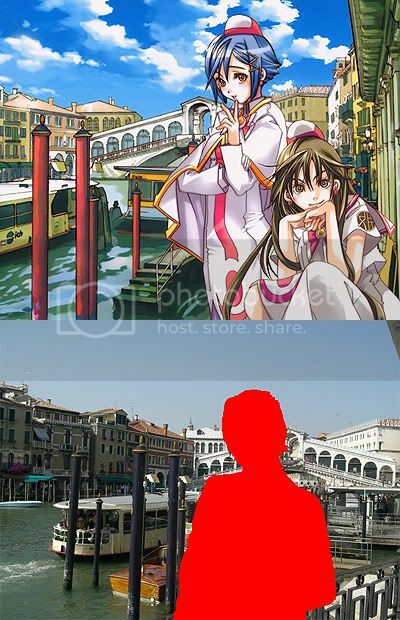 Unfortunately, there are no windmills in Venice. 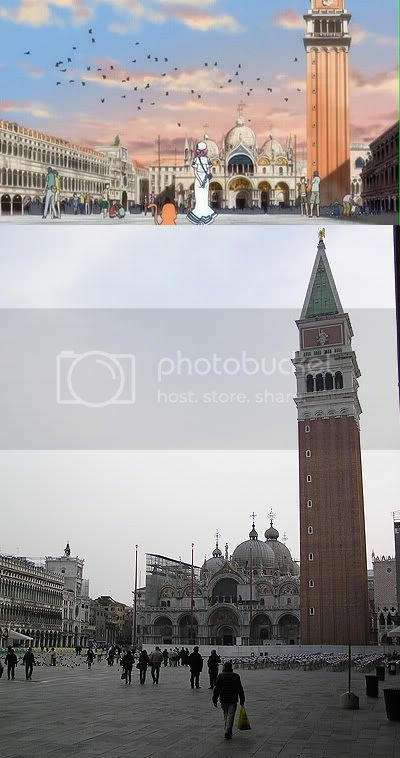 They wouldn't really be viable in the real place because Venice hardly gets any wind - something I learnt about Europe and wind turbine feasibility. 2. Akari is Fox's WAIFU. 3. Aika was claimed by Retsel. 4. And I'm Alice's protector. Right now, we just hyped about the news of Amano-sensei's new manga. Was a fun read, thanks mate! Again, great post. It's the small touches that really emphasise the authenticity of the series. Thanks, will check it out when I get the time. Aye, I found so many small touches which is why I decided I had to split them all up into different blog entries. And to surprise everyone, it's the latter! 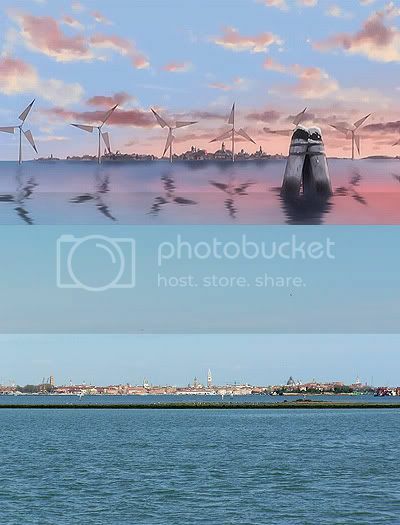 This blog was done as an afterthought so I had no material except my vague memory in my head, which is why the images are "similar", not "identical". The sheer number of "similar" images I have despite zero preparation is really a testament to the meticulous research of Amano-sensei and the animation production team. Cool post. I must say though, I am suprised that you rated episode 9 at only 7/10. I thought it was by far the greatest episode out of all three series. Really showed Alice's character growth from the start of the show quite excellently. After episode 5, the chart is off by one episode - due to ep5.5. My 7/10 therefore would be Athena's amnesia episode while Alice's graduation is 10/10!